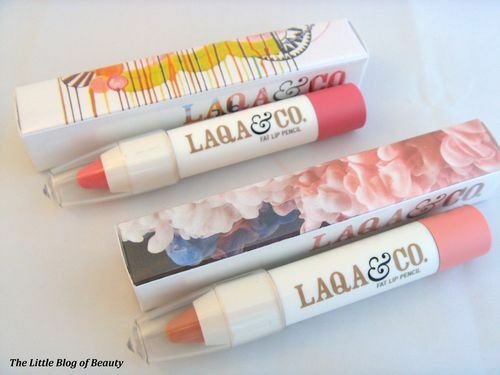 Laqa & Co are a New York based cosmetics brand that started out with Nail Polish Pen’s before introducing their Fat Lip Pencils. Their products are not widely available in the UK but a selection can be found on ASOS (where they are currently on sale, hurray!) and at Selfridges and they are also available from some independent retailers such as Cocktail Cosmetics, Cute Cosmetics and Powder Rooms. 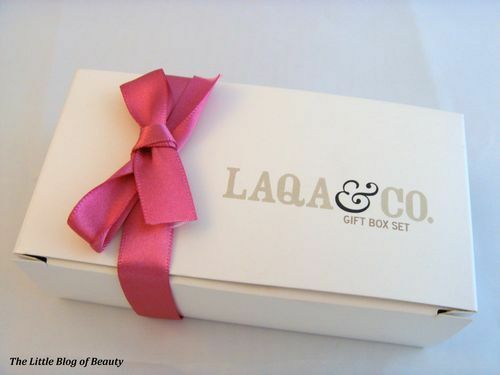 I won the Somebody’s Watching Me Giftbox in a monthly competition held over at Cocktail Cosmetics. 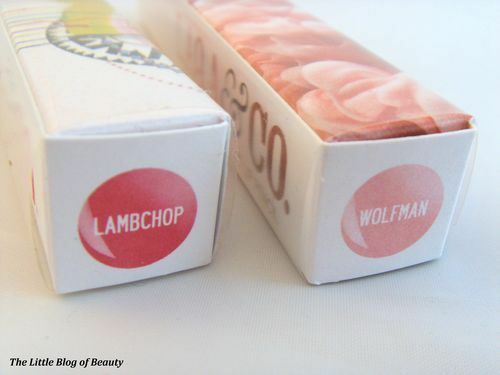 This giftbox contains two Fat Lip Pencils with the rather strange names of Lambchop and Wolfman. 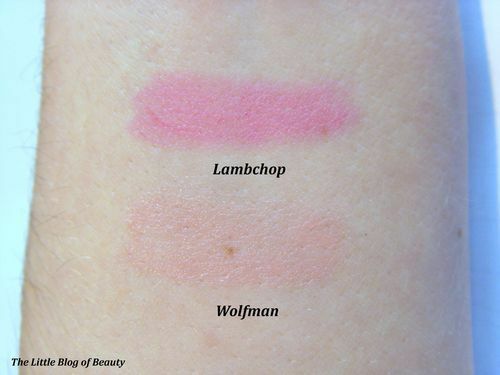 Lambchop is described as a hot pink (I would say it’s a bit more of a fuchsia pink) and Wolfman is a baby pink. The colours are actually brighter (and glossier) than they appear in the swatch below. 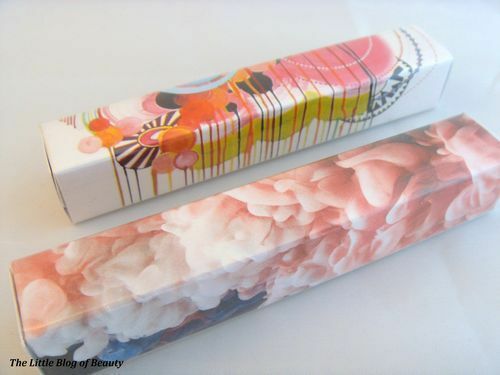 Each Fat Lip Pencil comes in a box which features artwork from a young artist who receives a percentage of the profit made from each product. The artwork for Lambchop was created by Jennifer Sanchez and the artwork for Wolfman by Mark Mawson. The pencils come in white plastic tubes with a coloured end that represents the colour of the product and the lid is also clear so you see the colour of the actual pencil. These are the wind up kind so don’t require sharpening. The wind on my Lambchop is fine but Wolfman is a bit loose and rattly which you can just see on the photo as there is a small gap between the coloured end and the main tube. 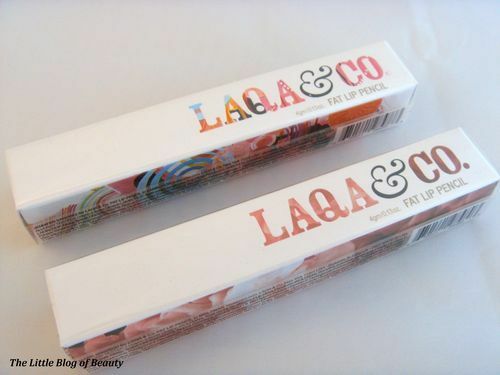 At first I thought these would come out as a matte finish as they look matte and were slightly dry to apply (although this could be my lips) but as I applied them they became glossy (after reading the slightly hard to read writing on the packs they do actually say lipgloss pencils). 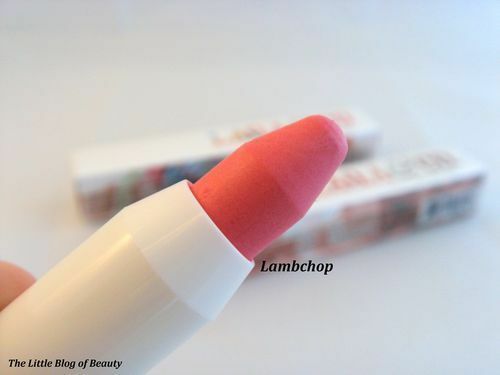 With regard to Lambchop the glossiness lasts for maybe a couple of hours but once this has worn off this leaves a stain of colour on your lips which for me lasted for at least another couple of hours until I removed it (so it may have lasted longer). 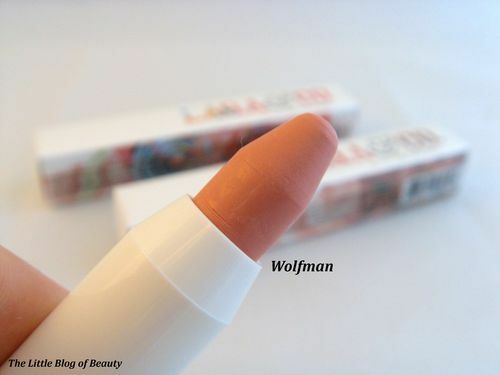 Wolfman is a much more subtle colour which is not as glossy and I don’t believe would leave a stain. 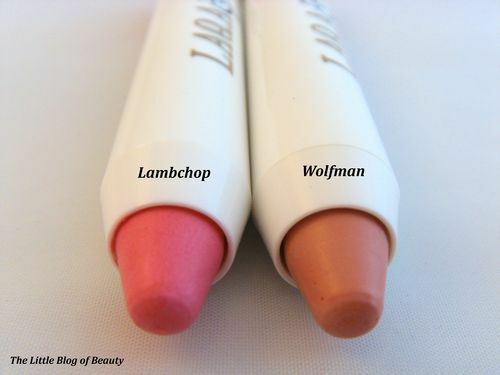 I wasn’t as keen on Wolfman as this clung to my dry patches (I didn’t prep first) and settled into the natural lines in my lips so this shade is not as easy to wear. These are a little expensive at £13 each or £25 for a set of two but depending on the shade you chose I believe they can last well and although I couldn’t see how much product is included they look quite generous. Having had a quick look at their Nail Polish Pens I would love to give one of these a try.